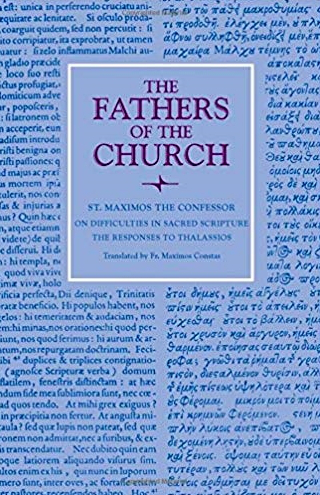 The following excerpt is from a very recent translation of St Maximos the Confessor’s (ca. 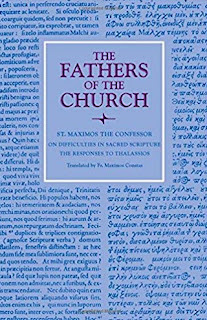 580-662) Responses to Thalassios, the Libyan abbot of a monastic community, probably in Carthage, whose letter to Maximos contained a lengthy series of questions, requesting written interpretations (p. 8). He who brought all visible and invisible creation into being solely through the momentum of His will, had in His good counsel determined—before all ages and even before the very genesis of created beings—an ineffably good plan for his creations. And this plan was for Him to be mingled, without change, with human nature through a true union according to hypostasis, uniting human nature, without alteration, to Himself, so that He would become man—in a manner known to Him—and at the same time make man God through union with Himself, and thus He wisely divided the ages, determining that some would be for the activity of His becoming man, and others for the activity of making man God. Thus, inasmuch as the actual “ends of the ages” predetermined for Him to become man “have come upon us”—since the divine purpose of the Incarnation has been fulfilled through the events themselves—the divine Apostle, having carefully examined this, and seeing that the end of the ages intended for God to become man had come about through the very Incarnation of the Word of God, says: “The ends of the ages have come upon us”—not simply “the ages” as we ordinarily understand them, but clearly those which, intended for the actualization of the mystery of embodiment, have reached their proper limit, according to the purpose of God. There is one body and one Spirit, even as ye are called in one hope of your calling; one Lord, one faith, one Baptism; one God and Father of all, who is above all, and through all, and in you all. This is the image of the Church, as delineated by the hand of the inspired Apostle. In the whole world, we find nothing so resplendently beautiful and glorious, under any other form. The picture is intended to enforce the great duty of charity and peace, among those who bear the Christian name. In the preceding part of the epistle, Christ is exhibited as the end of all separation and strife to them that believe, and the author of a new spiritual creation, in which all former distinctions were to be regarded as swallowed up and abolished forever. Reference is had in this true spirit and sense, it is plainly as comprehensive as humanity itself, and looks therefore directly to every other distinction of the same sort, that ever has been or ever shall be known in the world. Christianity is the universal solvent, in which all opposites are required to give up their previous affinities, no matter how old and stubborn, and flow together in a new combination, pervaded with harmony only and light at every point. "In Christ Jesus, neither circumcision availeth anything, nor uncircumcision, but a new creature." "Those who were afar off, are made nigh by his blood." "He is our peace, who hath made both one, and hath broken down the middle wall of partition between us; making in himself of twain one new man." In him, all spiritual antagonism among men is subverted. The human world is reconciled first with God, and then with itself, by entering with living consciousness into the ground of its own life as revealed in his person. Such is the idea of the Church, which is "the body of Christ, the fullness of Him that filleth all in all." And now at length, passing from doctrine to practice, the Apostle calls upon those to whom he wrote to surrender themselves fully to the claims of this exalted constitution. "I therefore, the prisoner of the Lord beseech you, that ye walk worthy of the vocation wherewith ye are called. With all lowliness and meekness, with long-suffering, forbearing one another in love; endeavoring to keep the unity of the Spirit in the bond of peace." Such a temper, and such life, are necessarily included in the very conception of the Church, as here described. "There is one body and one Spirit, even as ye are called in one hope of your calling; one Lord, one faith, one Baptism; one God and Father of all who is above all, and through all, and in you all." He does not say, "Let there be one body and one Spirit," as simply urging Christians to seek such agreement among themselves as might justify this view of their state; but the fact is assumed as already in existence, and is made the ground accordingly of the exhortation that goes before. There is one body and Spirit, and therefore are ye bound to keep the unity of the Spirit in the bond of peace. 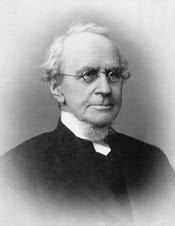 The unity of the Church is not something which results first from the thought and purpose of the vast membership, of which it is composed; but on the contrary, it is the ground out of which this membership itself springs, and in which perpetually it stands, and from which it must derive evermore all its harmony, and stability, and activity, and strength. Last night I had a conversation with some good friends about meriting God's favor. In the end we all agreed that the language of "meriting" God's favor, even if it's being used in the narrow sense of pleasing God, is not wise in our current christian climate because it gives the impression that salvation can be earned. However, for those who know me personally, it probably won't come as a surprise that I had some lingering concerns about our current christian climate, and in particular the concern that christians shouldn't talk or think as though doing things -- literally any things -- could either decrease or increase God's favor upon an individual, especially christian individuals. This whole conversation arose from a study in Galatians chapter five. In Galatians chapter five, Paul speaks adamantly toward those Gentile christians within the Galatian church who are considering to accept the rite of circumcision on the terms of the "Juidaizers" who "wanted to distort the gospel of Christ" (Gal. 1:7) by teaching that God only justifies sinners in virtue of the Mosaic Covenant with Israel, through "works of the (Mosaic) Law." This first century controversy, in effect, convinced the Christian Gentiles of Galatia to voluntarily place themselves under the Old Covenant, thereby identifying themselves with the covenant-people of Israel, in order to receive a righteous standing before God; and that is patently false and contrary to the gospel of Jesus Christ and justification through faith in him alone (Gal. 2:15-21; Eph. 2:1-10). Paul even describes this particular worldview of judaism with which he was personally familiar as though it were a pagan and idolatrous system of worship that enslaved the human heart instead of freeing it (Gal. 4:8-11, 21-31; 5:1). And yet, after all of this contention with insidious Judaizers and the proselytes to Judaism which they nurtured and developed in Galatia, Paul declares emphatically that those Gentiles who have become tangled within this controversy and honestly think they are being justified by the Mosaic Law and its stipulated works "have fallen away from grace" (Gal. 5:4). Now, in our current Christian climate, it is presumed that Paul did not truly believe that a Christian could fall away from God's grace, because that would imply a loss of salvation -- a salvation which was granted unconditionally. In other words, it is presumed that Paul was serious in the tone of his warning but not in the actual content of his warning. That is to say, Paul is speaking rhetorically for the effect of appearing threatening, but the propositional threat itself was not true. That, to me, seems more like an idle threat than good rhetoric. And under such urgent circumstances like the situation in Galatia, an idle threat would not only be foolish, it would also be useless. These Christian Gentiles cannot have possibly fallen away from something that they did not have. In this case, it's God's favor. The most logical inference of this allegedly "idle" threat is that previously these Gentiles had been viewed as having obtained God's favor. In other words, they had been viewed as Christians by the Apostle Paul, and other Christians within the church of Galatia believed they were Christians too. And one of the benefits of that Christian faith is they had received God's favor. Paul thought they had received God's favor. They thought they did too. If they didn't think that, Paul's warning would be absolutely meaningless. And it is that position of favor from which Paul says they "have fallen away from" (aorist active indicative of ekpipto) God's favor or "grace." The very clear inference of these statements by Paul is that the Gentiles who once were alienated and hostile in their minds toward God have now been graciously brought into a relationship with God where they (perceivably) are no longer hostile to God in their minds and are no longer alienated from God. Yet, Paul still speaks as though they were able, in some sense, to become lax, unstable, and irresolute in their faith, shifting away from the hope of the gospel that they heard and (apparently) received with favor. A few verses later (Col. 1:28) Paul states that all men need to heed this "warning" of God's gospel: "Him [that is, Jesus] we proclaim, warning everyone and teaching everyone with all wisdom, that we may present everyone mature in Christ." The obvious implication of this "warning" is that these identifiable Christians could "shift from" the hope of the gospel, at which time God's warning would be appropriately given to them -- that warning being the promise of God's hostility toward them, the deliverance from which they did not deserve in the first place. And if the sovereign kindness of God placed the people of Israel into a covenant relationship with Him, and He eventually did not spare them, allowing them to "fall" because of their unbelief and pride, how much more is God's warning appropriate for Gentiles who receive God's kindness and yet are tempted to do the same? It seems to me that in some sense, God's kindness can be diminished with those who are in covenant with Him. If this is true, one logical implication would be that God's kindness could also increase with those who are in covenant with Him. Now, I realize that in our current Christian climate, especially among "Baptistic" and "Calvinistic" circles of Christianity, it is likely that I will be accused of being Arminian, Palagian, semi-Palagian, and possibly even a total pagan for believing that Christians in covenant with God can do things which increase or decrease God's favor. That would mean, or so they might think, that Jesus does not cover all of their sins, or that Christ only covers their sins intermittently (covering them and uncovering them, and covering them back up again, etc.). But is that really true? Must we deny substitutionary atonement by affirming that God's favor upon His covenant people can increase or decrease depending on their faithfulness? It seems to me that no matter which Christian tradition we come from, both substitutionary atonement for Christians and the ability of Christians to fall away from God's favor are part of the clear language of God's Word; and first and foremost, as Christians, we ought to commit ourselves to the Word of God above all traditions. But does this mean that by accepting this peculiar biblical language about "falling away from grace" that other biblical doctrines are being compromised, even the doctrines of sovereign grace? Does this diminish God's sovereignty over all? Does this diminish the sinner's accountability to God one bit? Does this even imply that God is not worthy of our love, adoration, and respect? I don't believe so, and I'll tell you why. The language of God's Word also, and just as clearly, affirms that all men are completely dead in their sins (Eph. 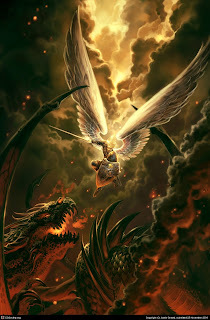 2:1) and by nature children of wrath (Eph. 2:2-3) and enemies of God by their very nature (Rom. 5:10) through their legal covenantal union with the first Adam who fell into sin in the Garden of Eden (Gen. 3; Hosea 6:7; Rom. 5:12-19). Because of their union with the first Adam they are by nature slaves of sin (Rom. 6:20). God's Word is also very clear that no man who is dead in his sins is righteous in himself (Rom. 3:9-20), or can do things in himself which merit God's favor, thereby causing or stimulate God to make him righteous or even to give him an alien righteousness. All men have fallen short of the glory of God (Rom. 3:23) and there is no one righteous, not so much as one (Rom. 3:10). Therefore the natural man, if he is to be righteous in God's sight at all, must be elected by God to partake of, and be covered by, His righteousness--the righteousness of the Righteous One (Rom. 3:19-26; 4:7; 5:1-21). Moreover, God does not base the foundation of His election on anything inherent within the individual sinner. God chooses to save sinners based on the gracious and kind intention of His own will (Eph. 1:4-8; Rom. 9:11). God's electing love, though sufficient for all and for all time, is for those whom God alone wills, and only for those whom He wills (John 6:37; 17:9). And because God has sovereignly, powerfully, and graciously saved a people for Himself, they have eternal security in Him (Rom. 8:1; John 10:27; I Cor. 10:13; Philip. 1:6). And so, how does all of this fit together? How is the language of falling away from God's favor to be understood in light of God's favor originating and continuing from His completely sovereign grace? Are we to believe that God's favor is unlimited and static no matter what (that is to say, it doesn't move up or down or increase or decrease at all in time and history) for those who are in a covenant relationship with in Him? Are Christians, graciously placed within a covenant relationship with God, held to certain conditions which necessitate their faithful obedience, lest they fall away from God's favor? I will gladly confess that it is a tremendous error to believe that spiritually dead men and enemies of God can do something to earn or "merit" God's favor in any sense. But is that true for those who are no longer spiritually dead and have been graciously placed within a covenant relationship with God? 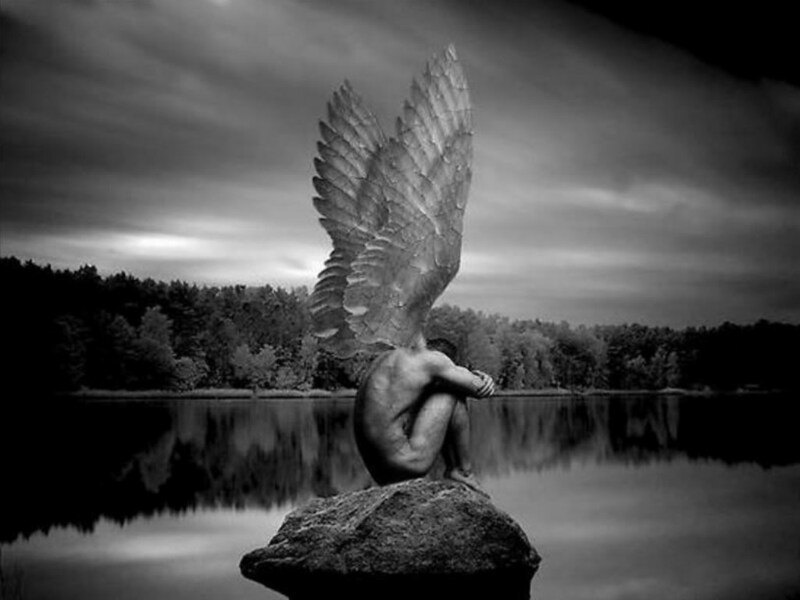 Is that true of people who are no longer considered God's enemies? I get the funny feeling that Christians in our current climate get all flustered by this language because they equate a covenant relationship with God (something which contains blessings and curses and is objectively verifiable) as God's eternally electing, predestinating decree of salvation itself (something which man, in and of himself, could not possibly know because it's hidden within God's knowledge alone, Deut. 29:29). I also suspect that because such Christians don't want to attribute human perceptions of immorality to God (and His holy character), they don't like the thought of a God who would do such things as blessing them for obedience/faithfulness and cursing them for disobedience/faithlessness. They might think it's not "good" or "loving" or "gracious" for God to do that, especially if their righteous standing before God is because of the righteousness of another man who stands in their place (i.e. 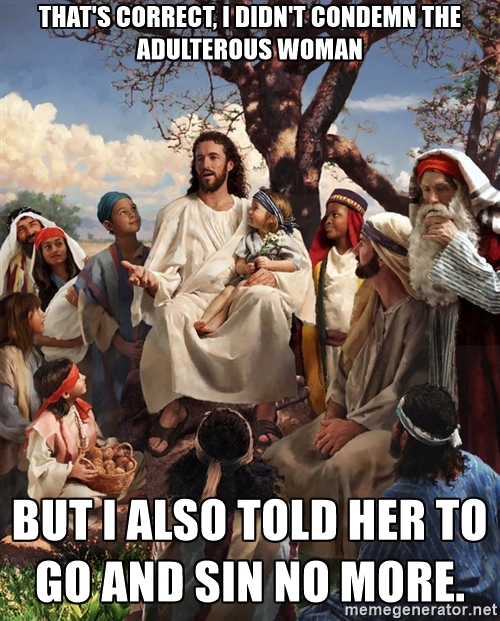 Jesus). But perhaps the most serious concern which stems from this apparent paradox is the thought that one could lose their regenerate or eternally elect status in God's sight if such things as covenant conditions (i.e. blessings and curses) were indeed true (and not just idle, hypothetical threats displayed for purely rhetorical purposes). The thought might be (i'm imagining) that no one can rest in any absolute assurance of salvation because God's covenant, through which he saves sinners, is conditional in some sense. And if it's conditional, after having already begun a work of regeneration, then one can lose his or her regeneration. Moreover, if it's conditional, God could not possibly predestine my eternal destiny, because it would change depending on something I do. Obviously, these apparent paradoxes are all serious concerns. And they all need to be addressed. There is one thing Christians can be sure of, even when they are wrestling with this apparent paradox of "falling away from grace"; and that is the covenant faithfulness of God. God will always be faithful to the terms of His covenant with his people (Psa. 33:4; 36:5; 86:15; 89:1, 8; 115:1; Lam. 3:22-23; Rom. 3:3-4; I Cor. 1:9; 10:13; II Cor. 1:18; I John 1:9). But (and this is a big "but") if the terms of His covenant do include conditions, why would any professing "Christian" pretend as though His or her faithfulness will result in an eternal life in God's comfortable presence? In other words, why would a professing Christian presume that God's gracious covenant with them continues so that they could live sinfully? As the apostle Paul says, "Should we continue1in sin, that grace may abound?" (Rom. 6:1)? In one of the following posts, I would like to offer a solution to this apparent paradox, but I can promise you that the solution won't be my own. In the following posts I would like to offer the solution presented by John Calvin, which was based upon his own study of God's Word. 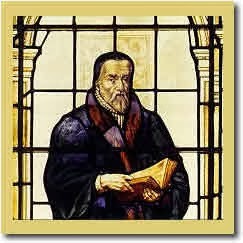 Now, I realize that our current climate of Christianity has many views, both pros and cons, concerning John Calvin the person and "Calvinism" as a theological think-tank, but I'm not going to offer a solution to this apparent paradox from our current "Calvinistic" climate. I'm going to offer John Calvin's own solution, which, as we'll see, is different from modern mainstream "Calvinistic" solutions. Stay tuned for those upcoming posts. 1. The verb for "continue" in Rom. 6:1 is stated in the subjunctive mood, signifying possibility and potentiality. I prefer the HCSB translation which reads, "Should we continue...". 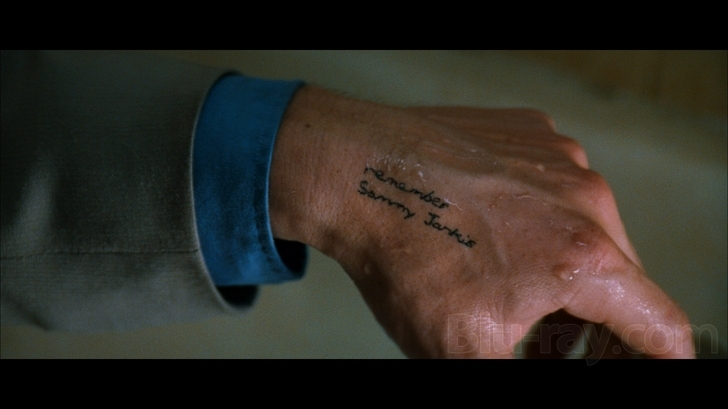 Other translations say "Are we to continue in sin?" (ESV), or "Shall we go on sinning..." (NIV).